I can't tell you the last time I have had a good night's sleep....probably back in my teenage years. I have never been a good sleeper and wake up at the slightest sounds. The best gift anyone could ever give me would be a full night's sleep. I was very excited to try out this pillow because I am always willing to try for that sleep. I followed the very easy step by step directions to add water to my pillow. I had to wrangle it away from Aiden because he thought it was very cool and wanted to use it himself. I used it the first night and even though I still didn't sleep all night, I was very comfortable with this pillow. I usually have to adjust my pillow many times throughout the night and I did not have to do that with this pillow. Unfortunately, Aiden seems to have my sleeping habits and he doesn't usually sleep through night either. He wakes me up almost every night just to tell me he is awake. I did let him use this pillow after I had used it a couple of nights and he loves it. He has slept on it the past 4 nights and he has not gotten up during the night. He may be waking up but he is not getting up. He has told me each morning that he has slept great. I may not be getting this pillow back from him! I definitely say this pillow has given us a good night's sleep! Excited to give this a try. Love all the helpful illustrations and information on the cover. The new Floating Comfort™ pillow features the exclusive Responsive Support™ waterbase® system. When combined with our new, exclusive CombedLoft™ fiberfill comfort layer, you get a pillow of unsurpassed quality and performance. It takes both support and comfort to provide the best night’s sleep and only the Floating Comfort pillow has both. Mediflow’s unique waterbase support system was ranked best for quality of sleep and neck pain reduction in a clinical study by doctors at the Johns Hopkins University School of Medicine! The published study found that subjects feel to sleep faster, woke less often, felt more refreshed and experienced neck pain reduction on our waterbase pillow. They even ranked it best of all other pillows tested in those categories. Have you been sleeping forever on pillows that never truly deliver the perfect support level that you prefer? Don’t Compromise, Customize™! Because with Floating Comfort you can adjust the waterbase to the exact level of support you prefer. And so can everyone else in your family! We guarantee a better night’s sleep! 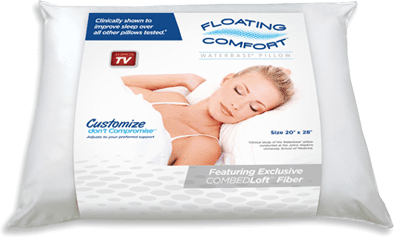 Only the Floating Comfort pillow has our highest 60 Day satisfaction guarantee. If you don’t get a better night’s sleep you can return it for your money back. 10 Year warranty against any manufacturing defects. What are you waiting for? A better night’s sleep is just a few clicks away. We guarantee it! 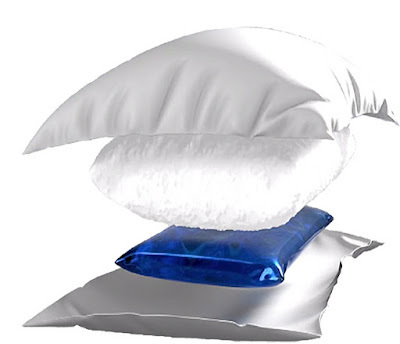 Head over to the Mediflow webpage and check out this fabulous pillow. You can also connect with them on Facebook, Twitter and Instagram. 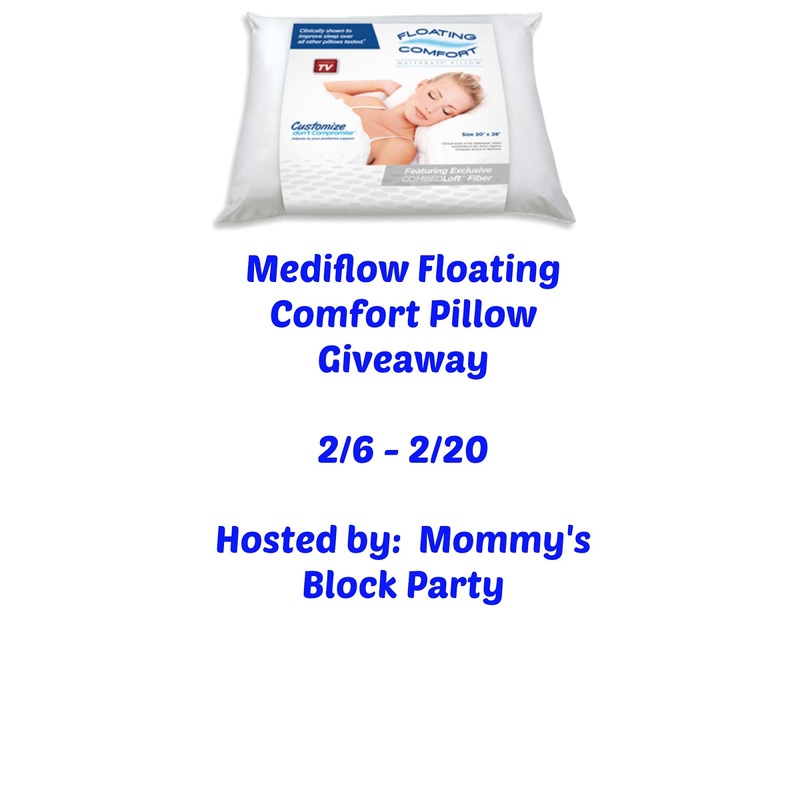 One lucky MBP reader will win their own Mediflow Floating Comfort Pillow. This giveaway is open to US residents, 18 and older. Just use the handy RC entry form below to enter for your chance to win. MBP is not responsible for prize fulfillment. Please see our policies page for details. 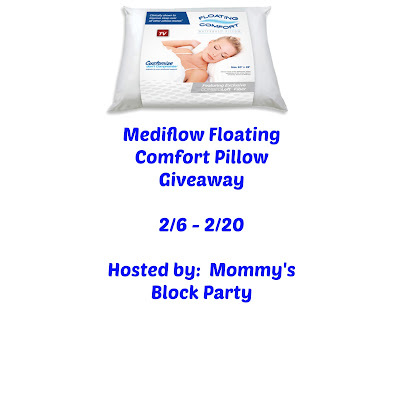 Special thanks to my friends at Mediflow for allowing me to share the Floating Comfort Pillow with you all!! I have a hard time getting good sleep and would love to try this pillow. my pillows are really old. I need new ones! I would love to try this pillow because our pillows are so old & my hubby has neck problems!